Mufti was responding to Amit Shah's assertion that Article 35A, which guarantees special status to Jammu and Kashmir in terms of residency rights, will be repealed by 2020. PDP president Mehbooba Mufti said on Wednesday that the relation of Jammu and Kashmir with India will end if the terms and conditions of the state’s accession to the Union were changed. “2020 will also be a deadline from Jammu and Kashmir to the nation. 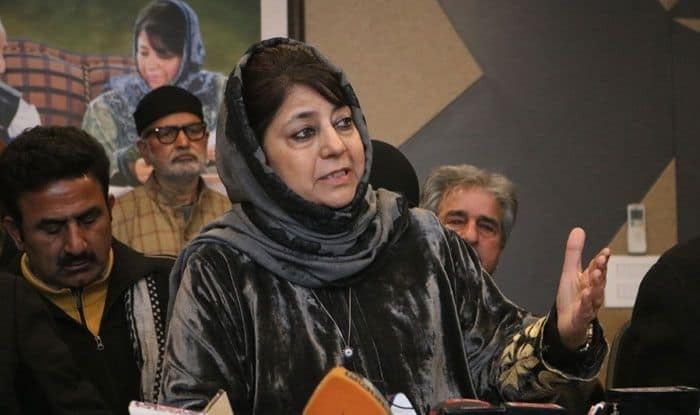 If you remove those terms and conditions on which Jammu and Kashmir acceded to India, our relation with the country will also end,” Mehbooba told reporters after filing her nomination papers from the Anantnag Lok Sabha constituency. The former chief minister was responding to BJP president Amit Shah’s assertion that Article 35A, which guarantees special status to Jammu and Kashmir in terms of residency rights, will be repealed by 2020. “Congress manifesto is same as what Mufti Mohammad Sayeed kept in Agenda of Alliance with BJP…Status quo on Article 370, revocation of AFSPA, holding dialogue and reducing army footprint from civilian areas. It is word by word the same thing,” she asserted.